The Osa Peninsula contains the largest mesic rainforest remaining on the Pacific slope of Central America, largely within Corcovado National Park. It also has the largest expanse of mangrove wetlands on the Pacific slope of Central America and a unique coastal marine ecosystem—the Golfo Dulce tropical fjord. The Osa Peninsula is hotspot for biological diversity. It is estimated to house 2.5% of the world’s biodiversity while covering less than 0.001% of its total surface area, and was described by National Geographic in 2016 as “the most biological intense place on earth”. The main threat in the Osa Peninsula is illegal hunting, which is still prevalent in the region. The concern is greatest with respect to the lowland paca (Cuniculus paca), white-lipped peccary (Tayassu pecari), and collared peccary (Pecari tajacu). Many other species are also hunted to a lesser degree, including game birds such as: tinamou (Tinamus major and Tinamus major castaneiceps) and great curassow (Crax rubra). Research has identified key areas of hunting pressure in the region, however no concerted effort yet been made to reduce or eradicate illegal hunting on the peninsula. A recent presentation at the 21st Mesoamerican Congress in San Jose, Costa Rica in 2017 revealed that bushmeat offtake could be around 28.5 kg per year, for each family hunting in the peninsula. • Led by our partner Osa Conservation, we have a big plan: Osa SAFER (Osa Surveillance Alliance for Ecosystem Resilience) is a holistic approach to protect and support biodiverse ecologically self-sustaining ecosystems through a scientific region-wide surveillance initiative, education, and strategic alliances to promote a change in perceptions, information dissemination, and behavioural change at the local level. The project will use citizen science and rewilding techniques and will involve collaboration with government, other conservation organizations and ecotourism operators. 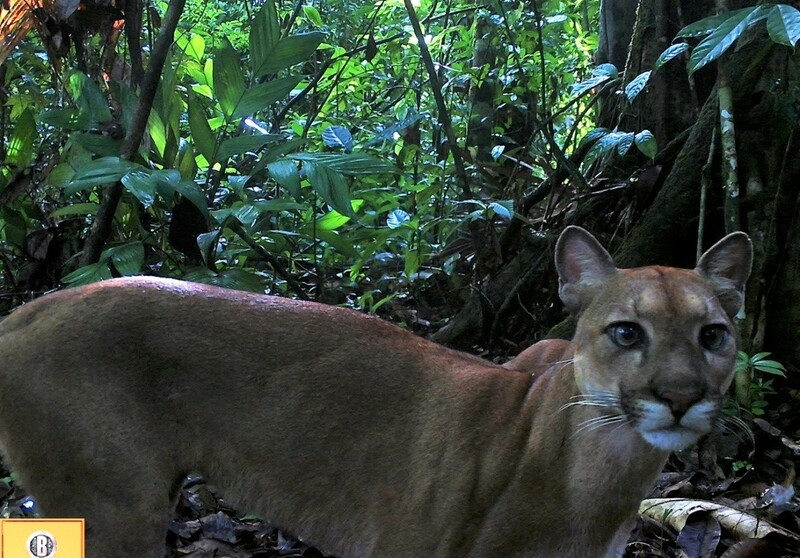 • At the core of this initiative is the Osa Camera Trap Network (OCTN), a citizen-science mega-scale visual monitoring system that will not only ensure camera trap coverage and presence over the entire peninsula (including major protected areas and connectivity corridors), but also provide standardized wildlife data that is necessary to collect high-quality and detailed baseline information. • Preliminary results obtained from the first sampling effort of the members of the OCTN show that a total of 33 species were recorded. 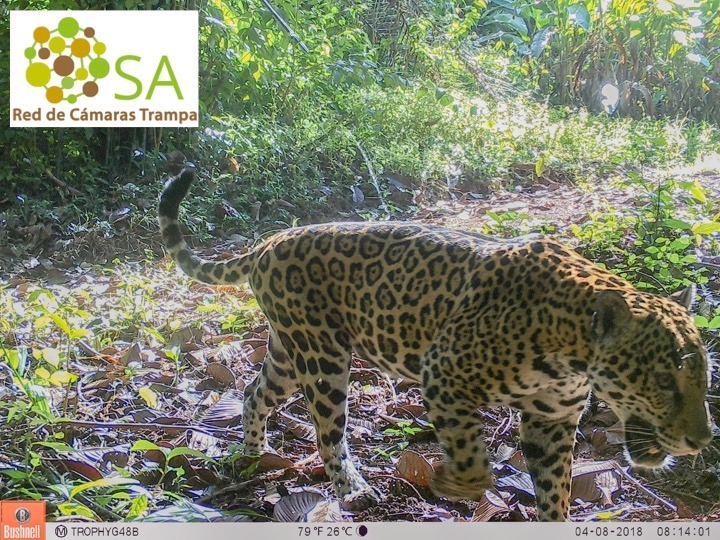 In 8 different grid cells, jaguars (Panthera onca) were captured by camera traps. Similarly, in 7 different grid cells, the presence of white-lipped peccaries (Tayassu pecari) was detected in Corcovado National Park (CNP). This is very meaningful, as jaguar records have recently been limited to in-and-around CNP, generating concerns amongst conservationists about the population status of these majestic cats. 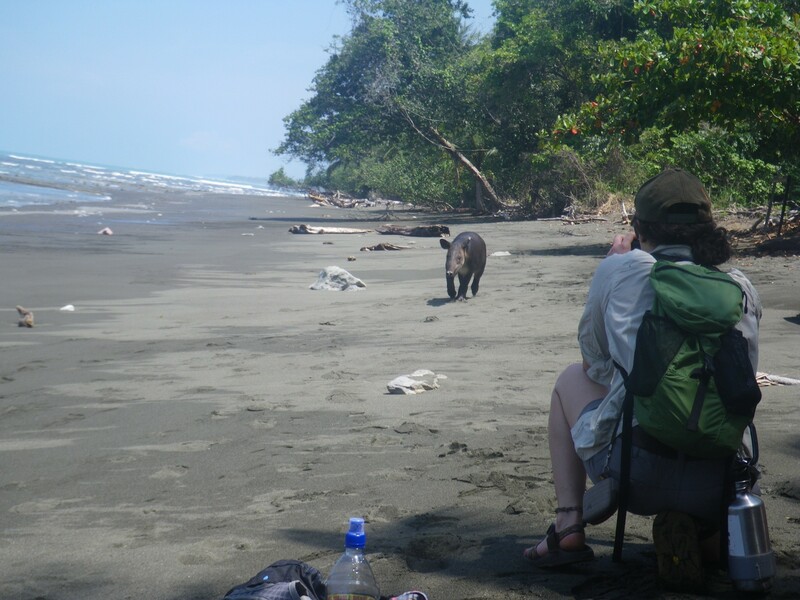 In addition, this also corroborates the suspected decline of white-lipped peccary populations in the region, as the species has not been detected in Piedras Blancas National Park (PBNP), for almost 30 years. • In summary, these results indicate that the conservation strategy employed by Osa Conservation is working for most species e.g., jaguars, white-lipped peccaries, collared peccaries (Pecari tajacu), Baird's tapir (Tapirus bairdii), etc. However, jaguars and white-lipped peccaries do seem restricted to the Corcovado-Matapalo Biological Corridor (i.e., the corridor between CNP and the Osa Conservation owned land), with no present records of either species in PBNP or ‘the neck’ of the Osa Peninsula. This may suggest ongoing issues with PA connectivity and illegal hunting.